Shane Warne is a former Australian cricketer, widely regarded as the greatest leg spinner in the history of cricket. He was born on 13th September 1969. He hails from Upper Ferntree Gully, a suburb of Melbourne in Victoria, Australia. Warne was a right-arm leg break bowler. A renaissance man, he breathed new life into the bowling style of leg spin which was dying, and made it an integral part of the game. His ball which bamboozled Mike Gatting in 1993, is regarded as the greatest bowling delivery ever by popular discretion. He was the leading wicket taker (708) in Test cricket, until December 2007, when the throne was usurped by another all-time spinning legend Muttiah Muralitharan. He has been named twice in the Wisden Cricketers of the Year in the Wisden Cricketers’ Almanack and also been elected twice as the Wisden Leading Cricketer in the World. Talented from a young age, he earned a sports scholarship to study at Mentone Grammar. He first represented the University of Melbourne Club in the Victoria Cricket Association Under-16 Dowling Shield competition. Warne also played Australian football for the Under-19 team of St. Kilda’s Football Club, before becoming a professional. He made his international debut on 2nd January 1990 at Sydney, in a test match against India. His debut was nothing eye-catching as he took just one wicket while conceding 150 runs. Similar dismal performances saw him being dropped out of the team. He was recalled after the Australians failed to take wickets on a turning surface. This time Warne took the opportunity with both hands as he put in a match winning performance of 7/52. Warne first caught eyeballs when playing for the Australia B squad. He took his first first-class five wicket haul as he took 7/49 against Zimbabwe. Similar impressive performances for the Australia A team saw him getting called up to his international debut. On 2nd January 1994, Warne took 12 wickets in the second Test match against South Africa, asserting himself as a vital cog of the Australian bowling, despite losing the match by 5 runs. Proving himself to be just as effective in the ODI format, he took 12 wickets in the 1996 Wills World Cup, with a match-winning performance of 4-36 in the semi-final against West Indies. However, Australia went on to lose the final against Sri Lanka. One of his best performances came in 1994 against England at Brisbane taking 8/71 as the English had to chase 508 runs but fell short by 184 runs, because of Warne’s exploits. Warne has been a controversial figure his entire career, with his tales of promiscuity arising more often than his bowling exploits. A day before the 2003 ICC Cricket World Cup, Warne failed a drug test, returning positive for a banned diuretic, after which he was sent home. He faced a one-year ban from organised cricket. Warne has played domestic cricket for the likes of Victoria, Hampshire, Rajasthan Royals and the Melbourne Stars. In 2008, Warne signed for the Rajasthan Royals in the inaugural edition of the IPL. He was appointed their captain and he guided them to the title. Warne was the ODI captain of Australia between 1998 and 1999. In the 11 games he captained, Warne won 10 and lost one, having a win percentage of 90.91%. Warne held the record for most wickets (708) in Test cricket until December 2007, when he was surpassed by Muralitharan. He was also second person to take 1000 wickets in International cricket after Muralitharan. Warne also holds the record of scoring the most runs (3154) without scoring a century. Warne retired from international cricket in 2007, but continued to play club and county cricket. 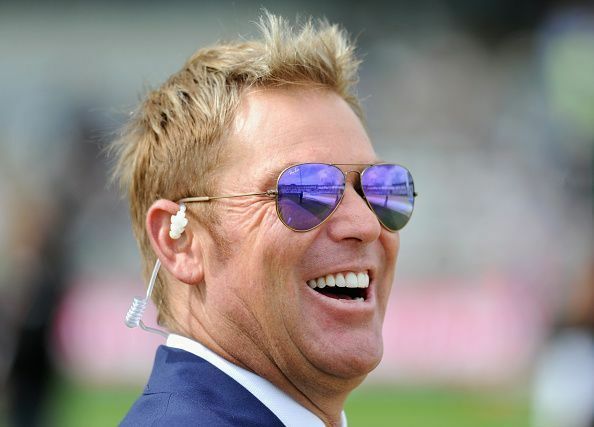 He retired from first class cricket in 2008, after which Warne became a sports commentator for Nine cricket commentary team before signing for Sky Sports in 2009. First ever IPL XI of Rajasthan Royals - where are they now?